I have recently been confronted with a tirade of anti SGI hyperbolae – it happens sometimes. After all, the SGI has its detractors – and I know a number of Nichiren Buddhists who simply couldn’t stomach some of the more prevalent facets of SGI dogma and either left the practice altogether, or joined other sects. The Gosho Opening the Eyes of Wooden and Painted Images is one of the shorter writings, and not surprisingly has been adopted by the SGI to support the stance that it is unnecessary to perform the eye opening ritual for the Gohonzon. This is one area where I wholeheartedly agree with the SGI’s attitude and almost all of their reasoning (However, I don’t think the Gohonzon replaces the Lotus Sutra in the latter day of the law – but it is an aid to meditation). The Gosho opens by referring to the 32 features possessed by the Buddha. Of these 32, only 31 can be expressed in an image/carving (many modern status of Buddha are made of materials other than wood) – the Buddha’s pure and far reaching voice cannot. Nichiren goes on to explain that when a sutra is placed before the image/carving in consecration, that it is the nature of the sutra used that will determine the spiritual aspect of the image/carving. For example, when an Agama Sutra (the Agama Sutras include the most core teachings of the Buddha, including the Four Noble Paths and the Noble Eightfold Path – where the wheel symbol comes from) is placed before an image/carving of the Buddha, that image/carving takes on the spiritual aspect of a voice hearer (sravaka). Now, when the Lotus Sutra is placed before an image/carving, Nichiren argues the effect is to transform that image/carving into the living Buddha. This doesn’t mean you can rub his tummy and he’ll giggle – it means that the image/carving will someone become spiritually charged – consecrated. Personally, this is where I detract from such beliefs, because it is a short step away from churning out lucky charms and other tacky Buddhist tat on the basis it’s the living Buddha. And it’s an even shorter step away to the slippery slope of paranoia and superstition – believing unless you get the Buddha into your Gohonzon really quick, then you’ll have Hitler or Bin Laden in there. Sadly, Nichiren couldn’t resist a bit of mud slinging at his Tendai contemporaries over this very issue, arguing that any image/carving eye-opened by other sects would lead to your carvings/pictures being inhabited by devils and demons, the sky would fall down and we’ll all go to hell in a handcart. This raises a more fundamental issue with Nichiren’s formative experiences of mediaeval Tendai Buddhism, and original enlightenment (Jpn. Hongaku) thought which postulates the environment, including grasses and trees, could also express Buddhahood. The ‘Japanisation’ of T’ien-t’ai buddhism inevitably assimilated aspects of earlier Shinto beliefs, including nature worship and a strong belief in spirits (Jpn kami). This influence has been described as introducing an “aspect of conventional deluded consciousness”, and I think there’s some truth in that observation. Whilst I would maintain the environment comprises all ten realms; which one it manifests at any time is due to our relative (deluded) viewpoint at any moment – this is perfectly confluent with the theory of Ichinen Sanzen. Without being distracted by a large diversion into the above topic, the result of believing the environment can independently ‘radiate’ Buddhahood – so that through some process of osmosis the practitioner is able to bathe in it’s glory – utterly smacks of ‘other power’ (Jpn jiriki). Relying on something outside of ourselves for salvation was right at the heart of the Nembutsu – one of Nichiren’s greatest annoyances, so the apparent inconsistency regarding the possession of images/carvings by demons, goblins etc., really has to be put into the context of the superstitions of the time. Unless one who has grasped the essence of the Lotus Sutra conducts the eye-opening ceremony for a wooden or painted image, it will be as if a masterless house were to be occupied by a thief, or as if, upon death, a demon were to enter one’s body. … to hammer other Lotus Believers into a sink hole of superstitious crap. Firstly, this whole Gosho refers to the practice of opening the eyes of Wooden and Painted Images [of the Buddha]. The Gohonzon is not this. The Gohonzon is a pictorial representation of the Lotus Sutra itself – so opening the eyes of the Gohonzon would be like opening the eyes of a scroll of the Lotus Sutra. And the Lotus Sutra is used to open the eyes of wooden and painted images. When we chant in front of our Gohonzon and recite the Daimoku of the Lotus Sutra to it, we open the door to our Buddhahood. Any “eye opening” is going on right there. To believe that everyone living in Mappo is essentially too dull of wit to grasp the essence of the Lotus Sutra displays a singular arrogance. Your Gohonzon WILL NOT be inhabited by Rumpelstiltskin if you don’t have a priest come to consecrate it. If you find him in there (Rumpelstiltskin, not the priest), my advice would be to go and find a good psychotherapist! Secondly – had Nichiren sat down and imagined the world’s population would expand into the billions, he might have pondered how large an army of priests he would need running hither and thither servicing the needs of the laity. It would have meant his school growing into a global empire of authority to bestow or take away each practitioner’s own private Buddha – MUHARHARHAR. Despite Nichiren’s self aggrandising, I don’t think he was such a megalomaniac, nor so naïve to imagine that an organisation of such size would not succumb to schisms of it’s own. I also firmly reject the “pick’n-mix” accusations of “pro-priesthood” adherents. I do not hold my views simply because it’s inconvenient to travel to London, Japan, or send my Gohonzon off in the post to get “Mojo’d” by a big enlightened cheese. I believe that Gohonzons (Gohonzi? – the latinised plural sounds better) do not require an eye opening ceremony because of the arguments above – namely, it smacks of “other power”, promotes superstitious delusion, and inevitably (where human beings are concerned) will lead to abuses of power, and de-egalatarisation of our faith. The remainder of the Gosho deals with the issue of prayers for the deceased and I suspect sheds some light on the rationale behind the funeral ceremonies that priests have traditionally performed. The gist is that the spirit of the deceased is, through the devotional [to the Lotus Sutra] conduct of the living, transformed into the Dharma body of the Buddha – and thus saved from demons (and presumably the realm of hungry spirits). The final paragraph touches on the ability to instantly bring the deceased’s spirit to the stage of realisation through the example of Chunda’s (a blacksmith who provided Shakyamuni’s last meal before entering nirvana) grasping of emptiness (non-birth and non-extinction) in his lifetime. Further, he highlights that when a wise person enlightened to the Lotus Sutra conducts a service for the deceased, the possibility of sudden attainment of enlightenment (Buddhahood) for the deceased is no less than that attained by the dragon king’s daughter in the twelfth (Devadatta) chapter of the Lotus Sutra. The SGI’s position that eye-opening ceremonies are unnecessary, then brings into the question of why they would argue against folks using Gohonzons downloaded from the Internet. My good friend Jason Jarrett produces a super podcast regularly on the Buddhism of Nichiren Daishonin. This is an interesting episode about the Gohonzon, but if you’re in a hurry, skip to 34 minutes in, where some very interesting points of view are given. I think the esoteric nature of the Gohonzon’s power does require some explanation, as the SGI official suggests – the benefit of guidance to understand what it is you are doing is crucial. I understand this stance and agree with it, given the immense misconceptions some people have about what the Gohonzon is and how it works. However, given the SGI’s stance, there is no logical reason for them to suggest their Gohonzon is any more powerful than a home made one, provided the user is instructed in its meaning and usage. Is the Gononzon a representation of the Lotus Sutra or of the Eternal Buddha? The Lotus Sutra is more powerful than an image or carving of the buddha (the manifest, or provisional body) – it has to be, because it is the voice of the Buddha that transmits the Law. The Gohonzon represents the Lotus Sutra – I think the idea is that it is synonymous with it, and therefore represents the essential Buddha, and therefore does not require any eye opening. ← Fast Daimoku and Long Daimoku – A Middle Way? Practiced for a couple of years before I was able to receive Gohonzon in the ’90s… I think actually this was helpful to my early practice as I knew that my buddha nature was inside me, rather than relying solely on the Gohonzon to work its magic, as it were…. Hi Emma. Absolutely – I think the superstitious elements that surround much of this practice are counter-productive, but then in a form of Buddhism which is dominated by Faith (imho) I suppose this is inevitable. I have always seen this Gosho not as a primur on how to open the eyes of wooden and painted images, but as Nichiren debunking the Shingon Object of Worship because it is eye opened using the Kegon Sutra and not the Lotus Sutra. I also agree with you, though not for the same reasons, that the Gohonzon need not be eye opened because it is the Lotus Sutra and could be used for an eye opening itself. Hi Mark, thanks for dropping by. Yes, that’s apparent. I guess I was single minded in using it to explain the issue with the Gohonzon. What are your reasons [that differ from the ones I stated] for believing the Gohonzon should not require an eye opening? 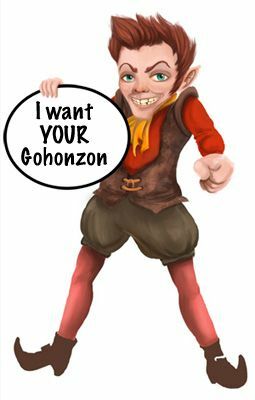 I was wondering… What if someone printed out a few (2) Gohonzons from the inter-webs and then afterwards became a member of SGI and received a Gohonzon from SGI … what to do with the old internet printed Gohonzons? How to properly dispose of them? For now they are in plastic paper/page protectors and in a notebook. I was in exactly your position. I still have my original DIY Gohonzon respectfully stored away in my home. I would be quite happy to continue using it, but as I sometimes host meetings I know that it would cause certain members distress – so for their sake I continue using the SGI one. It’s easier for me to leave it in the Butsudan rather than swapping them round all of the time. I couldn’t destroy my old one – not because I fear a big Buddha foot will come of out of the clouds and squish me, but it’s sentimental and was in front of me during some breakthoughs. I know that’s a mindless attachment, but I think a pretty benign one. If you did want to destroy your old one, then I would burn, or shred and bury it, so that you have returned it to nature rather than chucking it in the nearest trash can – which I think would be harmful to your subconscious more than anything as you are placing something you have meditated upon and valued greatly into a receptacle reserved for things you don’t respect in the same way. Perhaps use the experience to meditate upon impermanence and emptiness. The irony is that Dave Baldshun is correct, not all Gohonzons are the same. The Nichikan Gohonzon is flotsum on the Great Ocean of Life and Death. Chanting to it is an offering of offal to the Buddha and the Great Direct Way to the Hell of Incessant Suffering. Being a brainwashed Ikedabot and unthinking member of SGI, is the least of their problems. I am not going to approve any further comment from you or SGI members regarding your outburst, but I think your comment and the article it refers to should stand for people to see the kind of insanity that results from believing in “other power” (Jpn. tariki). I hope anyone reading this will consider very carefully exactly what it is they believe in when they practice Nichiren Buddhism. Personally, I had to find another path which is free of the fetters of absolutes. being able to continue with all these folks ranting and fighting. way of finding what Nichiren said to do, forget your differences. I think what needs to happen is UNITY! Everyone who practises faith only has one thing in mind – enlightenment or Buddhahood. At this point, I hope no one this agree with my statement. If so, why are we are fighting each other. Where is our buddha nature! Where is our compassion for others! We are buddhists practising according to Nichiren Daishonin’s will. I am ashamed a true disciple of Nichiren Daishonin. How am I to face Him and all the Buddhas of the ten directions after I die! Leave a Reply to Mark Rogow Click here to cancel reply.